29 perfectly matched round brilliant cut diamonds with a total weight of 0.47cts in an elegant cross-over channel setting. 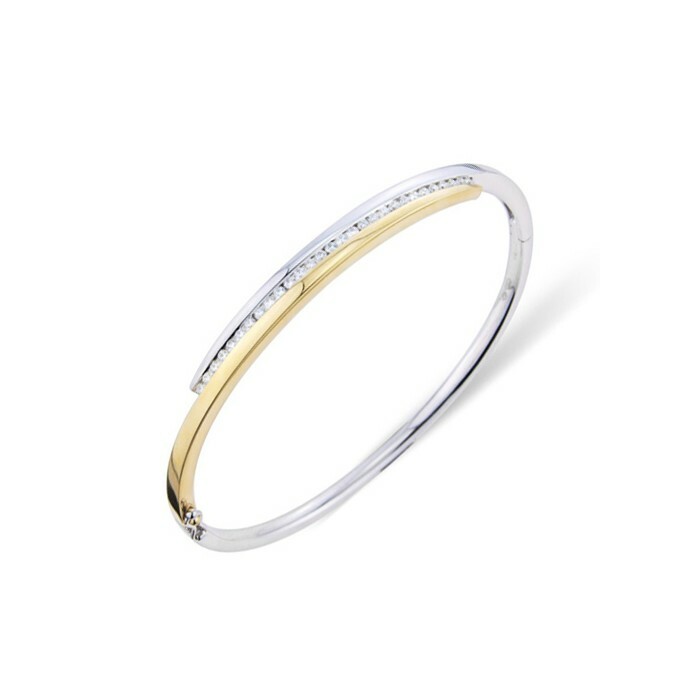 This is a solid gold hinged bangle weighing 16.2 grams. 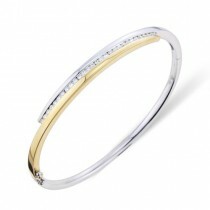 It features a double safety clasp. .